Swinging Vines was a flat ride located in the Congo section of the park (present day Jungala). 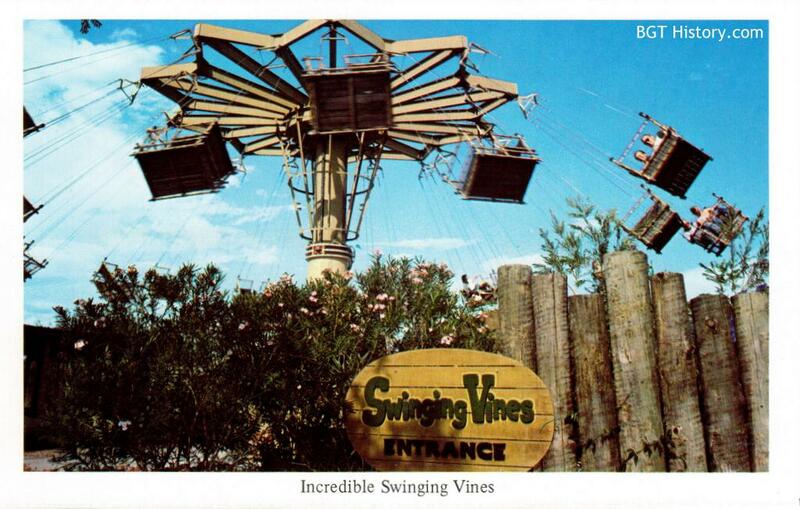 Swinging Vines officially opened with Congo in late July of 1977. Riders sat in bamboo seats attached to metal chains, and swung around the central tower for an approximately 90 second cycle. Additional details and images on Swinging Vines will be added in the future.